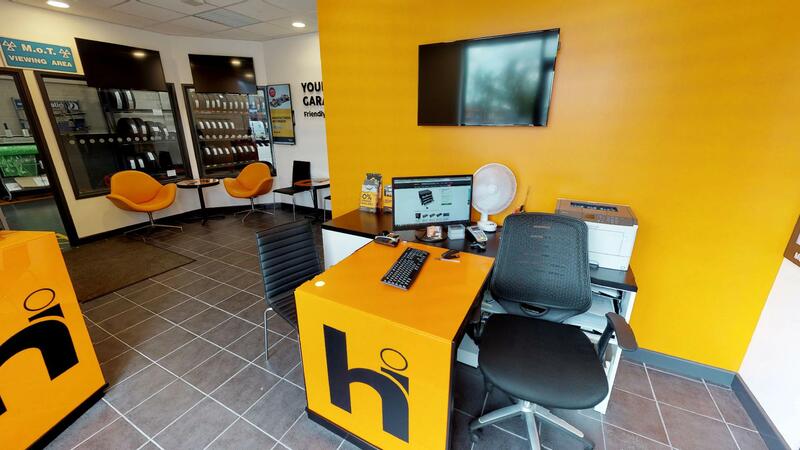 Halfords is a huge household name, so we’re really proud to have had the chance to capture Weybridge Autocentre in a Street View Inside Tour. Halfords Autocentres has over 300 UK autocentres and is the UK’s leading MOT, car service, brakes, repairs and tyres specialist. 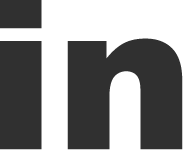 As you can see, the site is very shiny and well laid out making it perfect to showcase on Google and a pleasure to shoot. 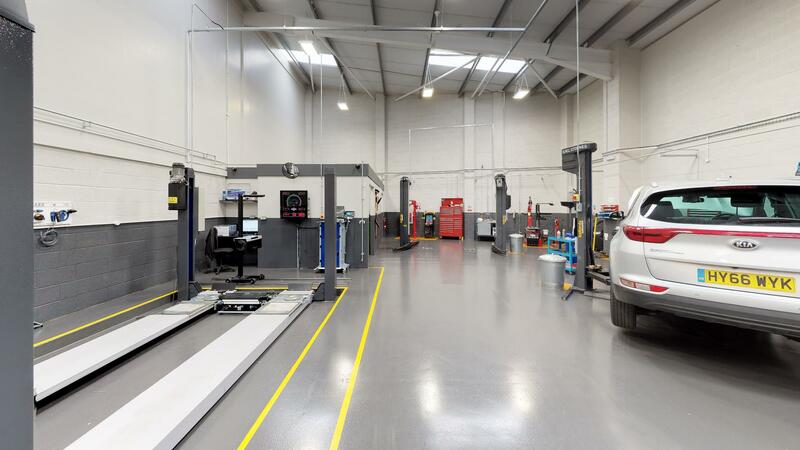 With Striking Places’ experience working with other businesses in the same sector the Halford’s team knew they were on good hands from a quality and technical perspective. 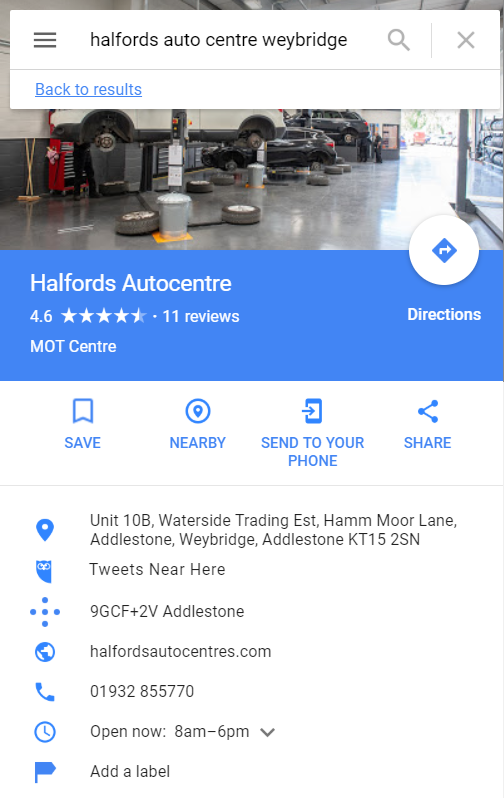 As a key player in their sector, Halfords chose to incorporate virtual tours as part of their marketing mix to increase the prominence of their Autocentre brand on Google Maps and Google Search.  They realised tours are a fantastic way to show off their centres in the best light and create the next level of awareness for their target market. 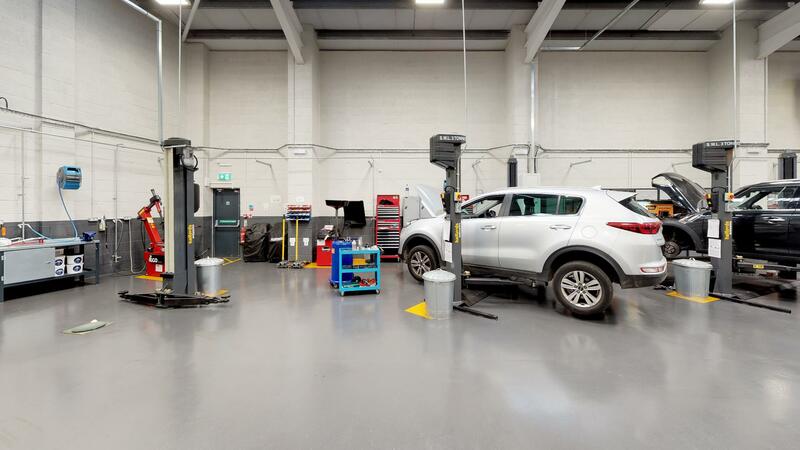 Because potential customers can explore the inside they can see the differences as well as the similarities between the well-known (and very recognisable) Halfords stores, and the new and expanding Autocentre side of the business. One of the exciting sides to this project was the use of the Matterport tour at the Halfords National Conference – which by all accounts went down a storm! It communicated easily and visually the new showrooms to the whole of the company – helping internal brand awareness!